Charged up: Is Magic Leap One just another set of AR glasses? 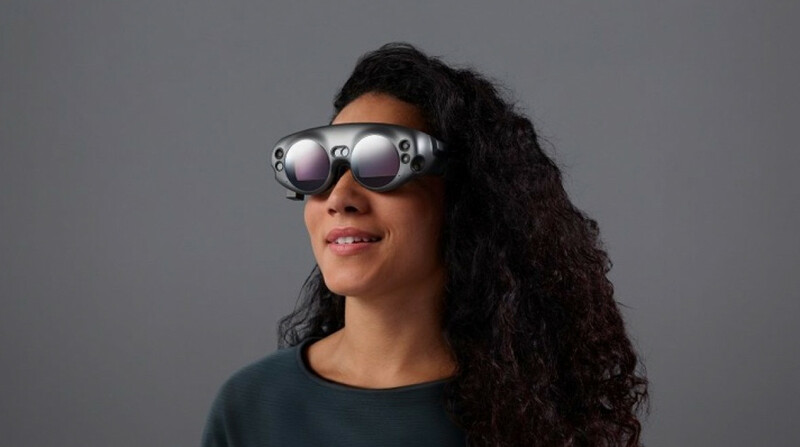 The Magic Leap One has launched. As a $2,295 Creator Edition developer model. That a handful of tech journalists have tried in short, hands on demos. Not us just yet - I have a feeling that on my deathbed, I'll be like "No, but Magic Leap". So what to make of it? From what we've read, no-one is super stoked about it this week. That's not to say that won't change - feelings are slightly warmer towards the $3,000 Microsoft HoloLens months, years actually, after we got over the shock of that disappointing small field of view. Then again, HoloLens wasn't hyped a fraction as much as Magic Leap - guilty, guilty - so it's a different set of expectations. (I still want to play that interactive Sigur Ros experience). With that in mind, here's a few choice first impressions I've picked out of the Magic Leap One hands ons that have been posted so far. That seems to be the consensus - it's the best yet but just not by much. Not enough to get seasoned gadget reviewers gushing anyway. Rachel Metz at the MIT Technology Review (who has tried the tech multiple times over the past few years) says it mixes "three-dimensional virtual images with reality better than any other augmented or mixed-reality headset—whatever you want to call it—that I’ve seen" and "I think ML One is likely the best AR headset out there right now." CNET's Scott Stein's view is that “Magic Leap One suffers from a limited field of view. That means what you see through the headset isn’t as large as the space you’re in." The 50 degree diagonal FOV seems it's considerably better than the HoloLens' field of view though The Verge says image quality in general is only on par. Joanna Stern at the Wall Street Journal had a similar issue: "Some objects appeared cut off unless I turned my head or took a few steps back." Abovitz's advice to some was not to get too close to virtual objects. Meanwhile Jessi Hempel at Wired says "A main menu popped up in front of me, the field of view large enough that it didn’t seem narrow" so this appears to depend on what experiences you're viewing - you can see how menus might look fine but not full-on, room-size games. There's also a few more concerns - the goggles are tinted (sunglasses style) and look, well pretty ridiculous, probably not suitable to wearing in front of people's whose opinion you care about or while holding a conversation. CNET does point out the goggles are more comfortable than VR headsets. As ever, though, the question is - what do you do when the demos end? This is the Creator Edition for a reason. Magic Leap has some high profile partnerships in place (Lucasfilm, NBA etc) but seems to be betting on developers big and small to really prove Magic Leap's worth. Metz again: "This is the problem Magic Leap faces. Like the VR headsets on the market, it’s searching for its killer app (or apps)." For an everyday gadget that works for everyone - that's what Magic Leap CEO Rony Abovitz told MIT Tech Review. And it seems to be the gist of most of the hands ons too - keep waiting. Adi Robertson at The Verge doesn't seem impressed: "it doesn’t seem like a satisfying computing device or a radical step forward for mixed reality." And the Wall Street Journal's Joanna Stern: "I don’t suggest anyone run out to buy one - maybe not for years."